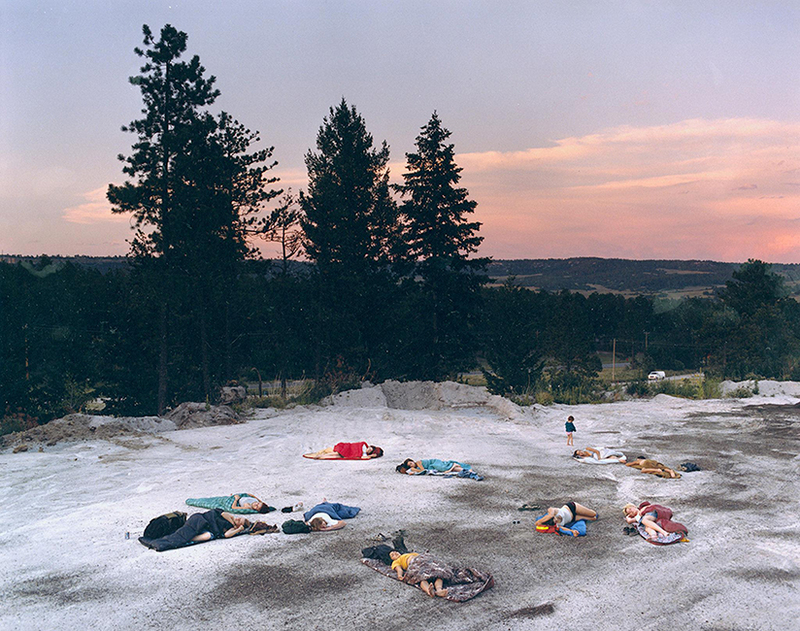 On the 20th anniversary of her photography series, Justine Kurland exhibits her renowned work in New York. 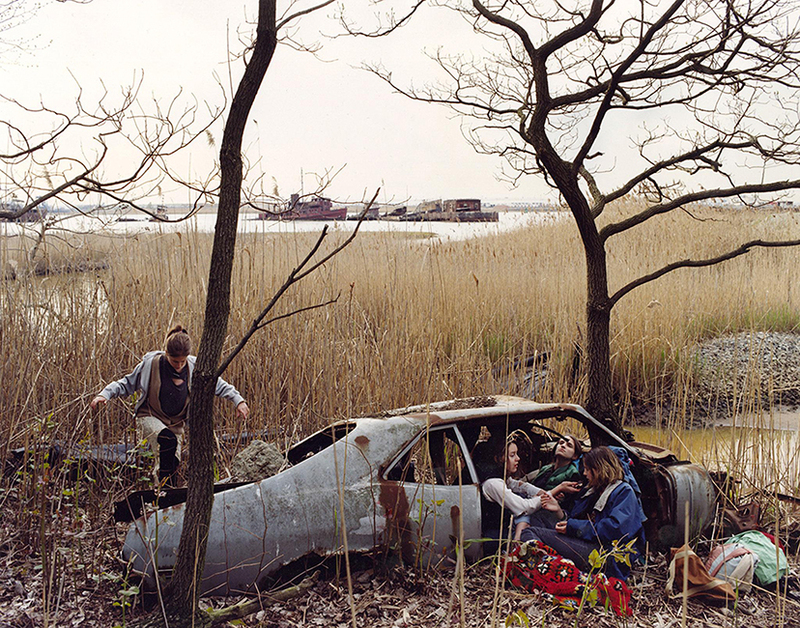 Justine Kurland is a famous American fine art photographer based in New York. 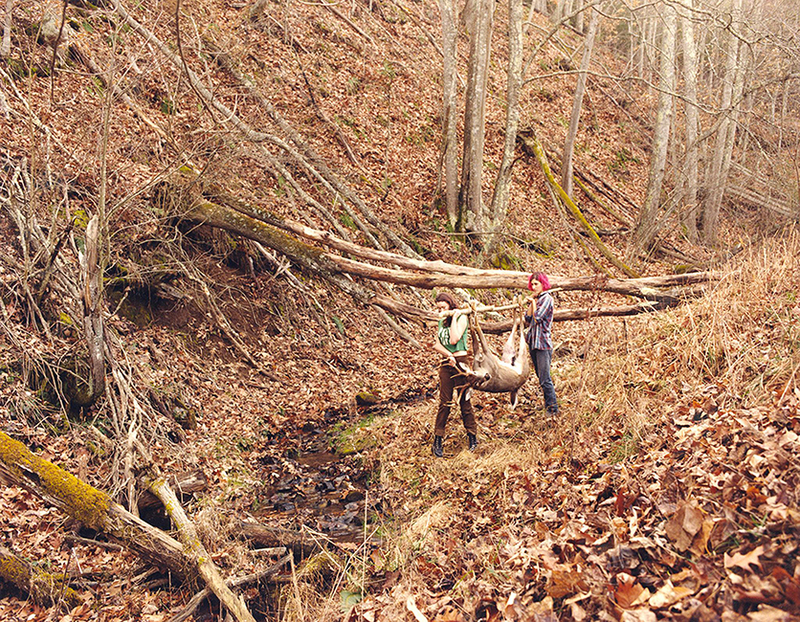 Her work is known for exploring a wild feminine adolescent world, runaway girls, and young people living on the edge of civilization. 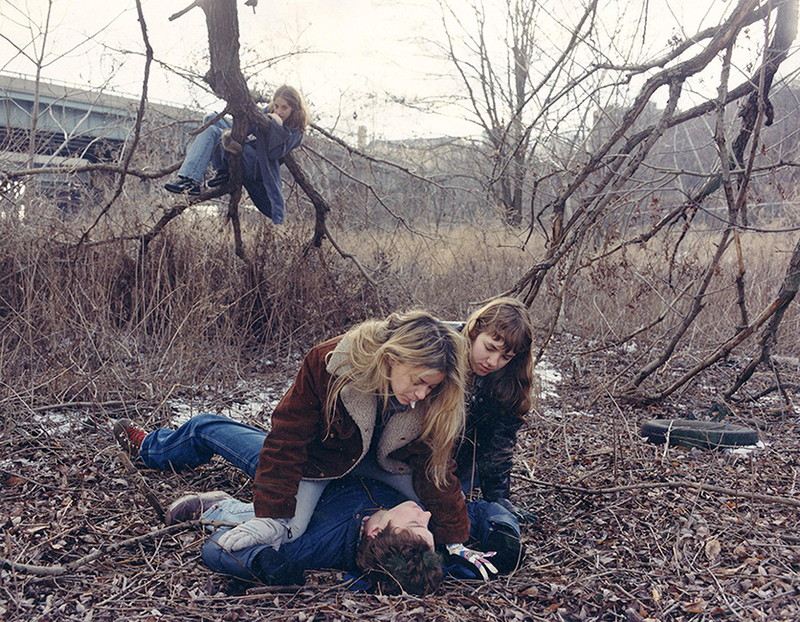 Girl Pictures (1997 – 2002) are 69 fairy-tale like staged photographs that capture intimate moments of friendship between girlfriends, tracing fingers on each other’s backs or carrying a slain dear back to camp. Kurland documents fringe communities, hippies and wanderers, and in some of her most striking work she photographs a group of naked women breastfeeding their children against the backdrop of a majestic waterfall and lush greenery. Her models are often photographed at a distance and in impressive natural locations, emphasizing the grandeur of the surrounding environment and the collective humanity of her subjects. In order to immerse herself in the lifestyles of the nomadic characters she is so enthralled by, Kurland often takes cross-country voyages (once for 6 years at a time), and many of her work is done on these trips. 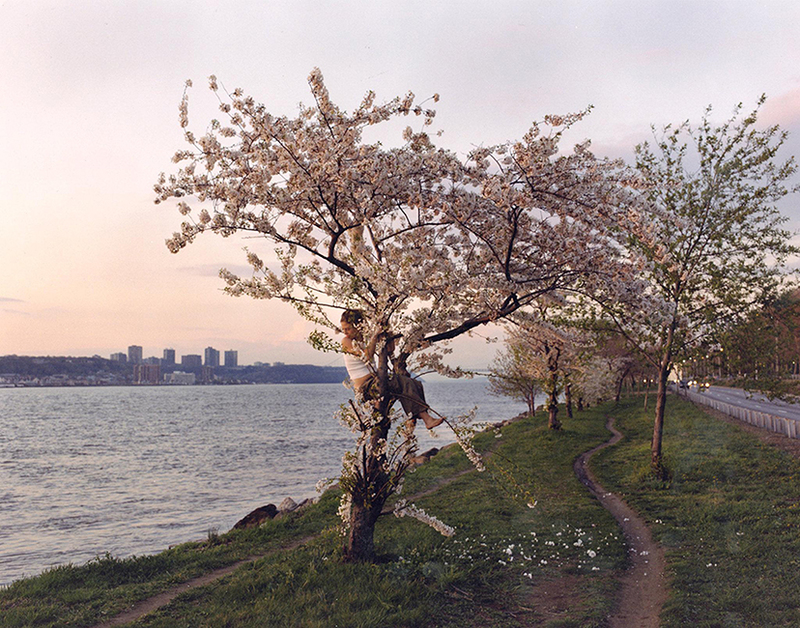 Girl Pictures (1997 – 2002) will be exhibited from May 24th to June 29th in Mitchell-Innes & Nash Gallery in Chelsea, New York.